In about a century of so, it is predicted that human will have flourished in planet earth and hence realized the need to colonize Mars. 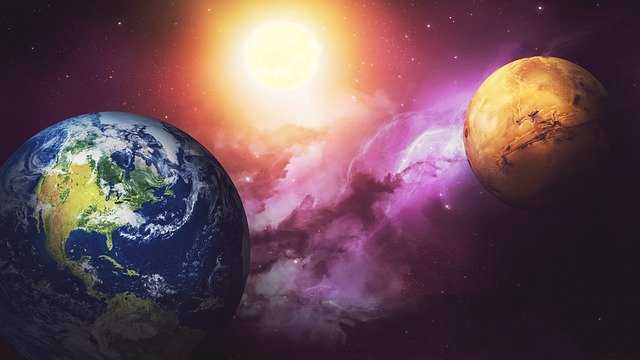 Other motivations have focused on the idea that in the likelihood of earth being destroyed, human should have an alternative and the this would be by exploring the galaxy and especially the closest planet, Mars. The reality of the earth getting destroyed is made been more real from the realization that in about 1000 years, there would be an obliterate disaster hitting the planet with the likelihood of a nuclear war and global warming appearing the major spurs to catastrophe. Some has, however, pointed out that the exploration and eventual conquering of Mars is only a theoretical more than it is practical. However, after reviewing the realism in the exploration of Mars, it is prudent to affirm that conquering the planet is more inevitable despite the fact that there will be a need for the institution of alternative measure to address the likely setbacks. One of the reasons that makes it possible that humans will eventually live in Mars is that efforts have already been made and it is stated that within the next decade, a spacecraft will have already toured the planet. 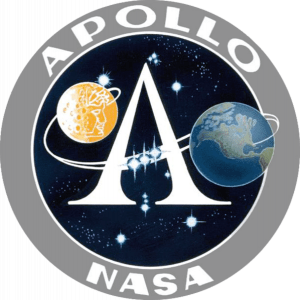 The Apollo Moon program remains one of the most successful spacecraft to have safely toured the space and having enabled astronauts to explore the universe and beyond the limits of the low Earth orbit. The suggested spacecraft that is already in the advanced stages is the 2500 ton SLS that would work with the Orio Capsule. There is, however, always huge threat there is a likelihood that the mission would be unsuccessful as it would be the first time a long duration flight will be performed to the planet. It is thought that the trip could take as much as nine months. To cover for the unforeseeable future and the hazard it posed, the crew is giving for enough time for adequate planning to ensure that there is comfort as the journey would be tiresome. The other possible way f perceiving the exploration and conquering of Mars as a reality would be by perceiving the advances that have already been made initially on other bodies in the universe. It is however conceivable that landing on Mars will be a huge challenge for the spacecraft. In the past, Nasa opted to consider an innovative sky plane that enabled in one-ton spacecraft safety. 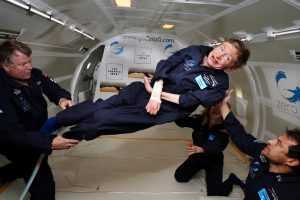 It noted, however, that the likely challenge would be the weight of the new machine that is set to be used in transit. The new spacecraft weighs ten times and had be factored before examining the real exploration process. Another solution that has since been suggested is the terraforming process of Mars that will ensure that life-support mechanisms are instituted. Mars has particularly been selected as the solution to the growing population and the threats from hazardous events such as nuclear explosion as it offers an alternative of offering all the material and elements that are needed to support life. The realization has thus made the plane a long term source of fascination with the growing reality that it is a much better planet. However, the optimism with which this factor offers the challenge of trying to inhabit a lifeless, dry, and desert-like appearance. These challenges have, however, appeared to be less of a factor from the realization that it is possible to affect the resettling processes. The three main option have involved the suggestion that large orbital morrows can be placed and ensure that they reflect sunlight and heat up the planet, using greenhouse factories to trap the radiation from the and an smashing steroid that contain ammonia to raise the greenhouse gas level. The use of these efforts is already in place and it is expected that there will be much more success in future with large scale implementations underway. It has also been hypothesized that taking advantage of the opportunities offered in Mars appears to be realistic from the realization that there are ways in which astronauts will make the planet to be self-sufficient. The need for air, water, power, and food offer the imitate steal to inhabit the planet. It is suggested that water could be obtained from recycling of urine and other waste products, the production of food is expected to be slow at the start but after a while, it is expected that the project will catch up especially with projects such as the biosphere 2 already in place. In fact, it is apparent that there could be options for other necessities such as water in the surface because it is thought that Mars was initially as it is thought that the planet was once an awash. It evident, however, that just as the initial hypothesis for inhabiting Mars, the idea is more theoretical than in it is practical for the long-term. The greatest challenge would be the production of food especially after failed efforts in the non-profit Mars society’s efforts because while the software engineer states that the biology that they were engaging in was enthusiastic, they noted that it was not a thrilling and productive venture. However, glimpses of hope have been based on the fact that there could be the use of rock to serve as the medium for growth and the subsequent addition of minerals and additives to improve productivity. The need for the provision of power offers potential because to address the challenge fuel cells and nuclear batteries could be used and this could be further augmented by solar rays. Thus, through the established efforts for self-sufficiency, the conquering of mars has appeared to be even more realistic. The other aspects that offers the reality that it will be inevitable that humans will conquer Mars is the realization that astronauts have the capacity of being the pioneers in in the formation of the initial government. As an extraterrestrial economy, it is plausible to think that there will be a need for a system of governance with the most like possibility in the initial stages being the establishment of a system where governance is established. The need for the formation of a constitution is one way in which it has been apparent that Mars could be structured in the initial advances that are to be made. The challenge for a system of governance, however, presents a related problem of having a constitution in space. An astrobiologist from the University of Edinburgh has highlighted that there could result grave consequences when there poor strutting of the organization of oxygen as the subject responsible would have the fate of humanity at stake. To address this weakness, it has been proposed that there should be a system where the morally right and most likely the astronaut’s themselves should be given the mandate of controlling such necessities. Lastly, it is also plausible to highlight the subject of reproduction because for the continuation of generation, there is a need for the progression of species to avoid the population risk of extinction. Reproduction process is unlikely to be unaffected in Mars because provided life and the human body is functioning, it is not thought that there will be much of a problem. It is argued that provided the egg and the sperm from the female and males settlers do not get zapped by the cosmic radiation in the process of heading to Mars, then the initial inhabitant will want to have kids within the shortest time possible. As the goal is to inhabit the colonies for a long time and possibly generations to come, the effect would mean that there is a need for a settle a considerable number of inhabitants. To cover for this challenge, it is suggested that a population of 2000 would warrant a workable course. In summary, it is critical to affirm that while there are a vast number of potential challenges, the capacity of humans to inhabit Mars is realistic and attainable regardless of the time it will take. The primary challenge will be the capability to sustain the initial population, while targeting to ensure that children born in the planet to not have malformations and other complications. Through these and other unforeseen efforts, it is expected that humans will have successfully conquered the red planet.